Remember acid rain? If you were a kid in the 1980s like our hosts were, the threat of poison falling from the sky probably made some kind of impression on your consciousness. But thanks to the work of scientists, government, the media, and the pope—that’s right, the pope—the problem was fixed! Well, mostly fixed is probably more accurate. This complicated story spans 27 years, six U.S. presidents, and ecologist Gene Likens's entire career. Discover the insidious details in the second chapter of our three-part series on environmental success stories. Credits Hosts: Alexis Pedrick and Elisabeth Berry Drago Senior Producer: Mariel Carr Producer: Rigoberto Hernandez Audio Engineer: James Morrison Additional audio was recorded by David G. Rainey. We interviewed Rachel Rothschild, a former Science History Institute research fellow and Rumford Scholar, about her book, “Poisonous Skies: Acid Rain and the Globalization of Pollution.” To research this episode we read her 2015 dissertation, A Poisonous Sky: Scientific Research and International Diplomacy on Acid Rain. We also read Merchants of Doubt: How a Handful of Scientists Obscured the Truth on Issues from Tobacco Smoke to Global Warming by Naomi Oreskes and Erik Conway (Bloomsbury, 2010). 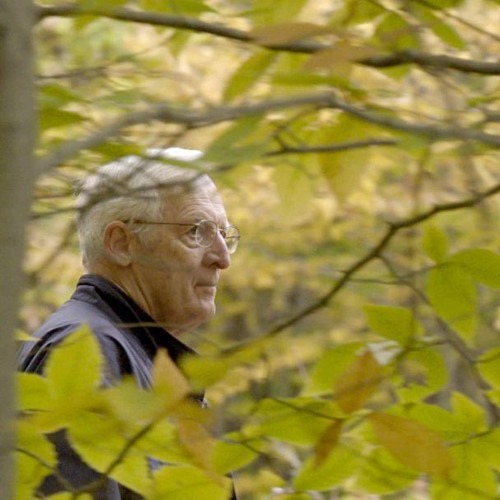 These are the archival news clips we used as they appear in the episode: We interviewed Gene Likens at Hubbard Brook Experimental Forest in New Hampshire in 2015 and again in May 2018. The following are the archival news clips we used as they appear in the episode: Bettina Gregory, Tom Jarriel, and Bill Zimmerman. ABC Evening News, December 14, 1978. Walter Cronkite and Jim Kilpatrick. “Environment: The Earth Revisited/Acid Rain.” CBS Evening News, September 11, 1979. Robert Bazell and John Chancellor. “Special Segment: Acid Rain.” NBC Evening News, May 9, 1980. “The MacNeil/Lehrer Report: Acid Rain,” NewsHour Productions, American Archive of Public Broadcasting (Boston: WGBH; Washington, DC: Library of Congress), aired May 26, 1980, on PBS, http://americanarchive.org/catalog/cpb-aacip_507-pk06w9754b. “The MacNeil/Lehrer NewsHour,” NewsHour Productions, American Archive of Public Broadcasting (Boston: WGBH; Washington, DC: Library of Congress), aired on June 30, 1988, on PBS, http://americanarchive.org/catalog/cpb-aacip_507-b56d21s53c. Tom Brokaw and Robert Hager. “Air Pollution: George Bush.” NBC Evening News, November 15, 1990. Music Our theme music was composed by Zach Young. Additional music courtesy of the Audio Network. Users who like Whatever Happened to Acid Rain? Users who reposted Whatever Happened to Acid Rain? Playlists containing Whatever Happened to Acid Rain? More tracks like Whatever Happened to Acid Rain?